Description: Small, erect, slender palm growing up to 3m tall. Leaves are crowded at the terminal area of the trunk, leaf blade is undivided, plaited, bright green with toothed and lobed margins. Distribution: Native to New Guinea. Plant Requirements: Grows well in moderate-indirect light. Economic Importance: Planted in parks and gardens. Also used as an indoor plant. I’m Dennis From Trece Martirez Cavite. We would also inquire if you deliver and if you do, do you require a minimum order. Please send me a pricelists of all of your available palm species, kindly also include the terms of payment and delivery. By the way, I visited your nursery 2 months ago. Thanks! Hi! 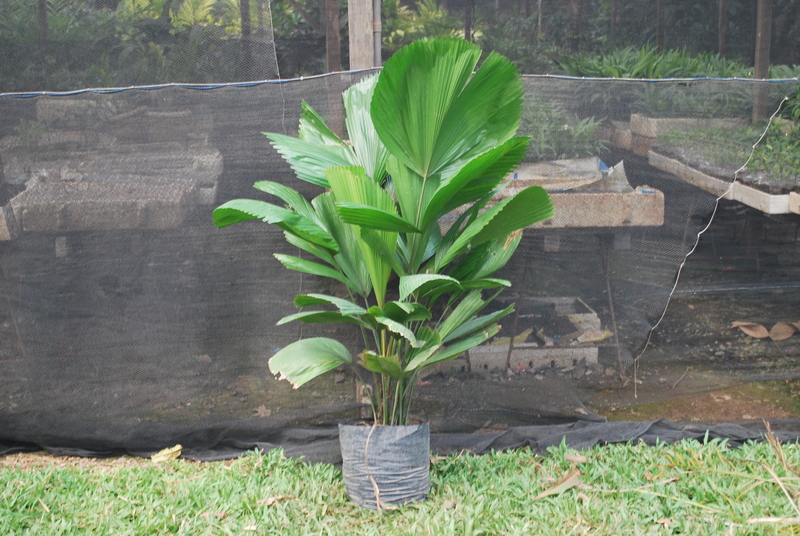 We have sent an availability list of our plants with palms highlighted to your email. do you have any available Licuala grandis @ 4-5 ft trunk height and 3-4 trunk height around 10 pcs. Kindly send your pricelists along with terms of payment and delivery.